What would happen if you began living in the acceptance of being loved by God? Despite your past. Despite your shortcomings. Despite all of the things you might be currently striving to achieve. What if you were already whole? 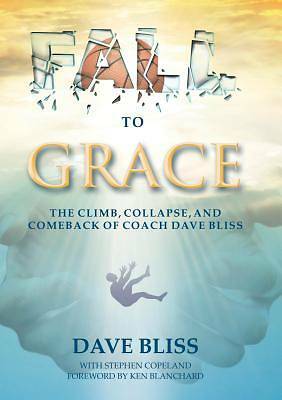 More than a decade after Baylor University's men's basketball program fell to pieces, former college basketball coach Dave Bliss opens up about his personal journey-- from worldly fame, to humiliation, to spiritual discovery -- and the unfathomable grace revealed to him by a God who wants to give all of us a second chance at life. Though the headlines following Bliss's indiscretions read that he "fell from grace," his resulting guilt and shame forced him to fall to grace, as Bliss learned to accept and receive God's love and forgiveness.